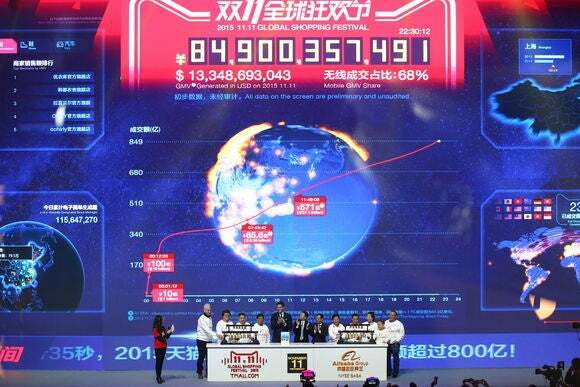 It was always going to be big, but the day-long "Singles Day" promotion on Chinese online shopping site Alibaba on Wednesday smashed previous records, with millions of people participating and $14.3 billion worth of goods sold. Compare that to Amazon's revenue for the entire last quarter of $18 billion. 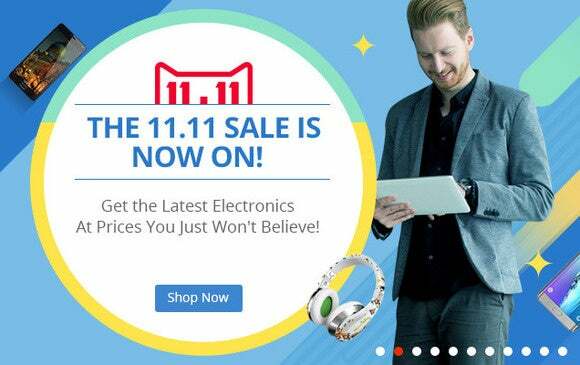 "Singles Day" began in 2009 as an attempt to get customers who are single to buy themselves gifts and takes place on November 11 for its singly-significant numeric date of 11/11. For 24 hours on Tmall and Taobao Marketplace, retailers slash prices and offer special discounts in a promotion that's similar to the U.S. Black Friday event but now dwarfs it. 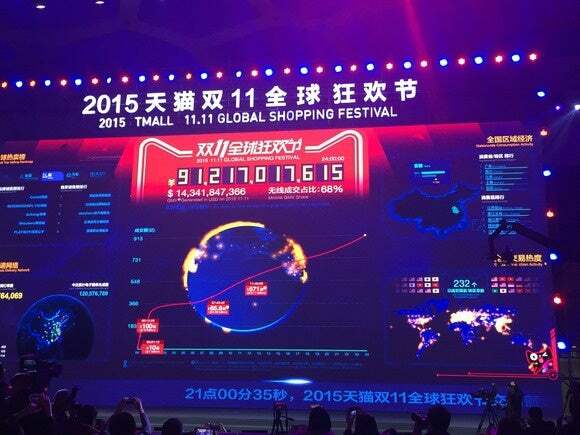 Alibaba remotely rings the NYSE opening bell on Nov. 11, 2015, from Beijing where the company is winding up its Singles Day shopping promotion. This year it was kicked off by a 4-hour long show on a nationally distributed TV channel that included appearances by international stars from Asia and the West, including James Bond actor Daniel Craig and a video message from Kevin Spacey, as his Frank Underwood character from the Netflix show "House of Cards." Mobile payments accounted for 69 percent of all sales at $9.8 billion.